One of the most brilliant aspects of the original Star Trek series is the core trio of Kirk, Spock, and McCoy, and the ways they represent different facets of the human character. Spock is the mind, the cold-blooded regard of pure logic and pragmatism. 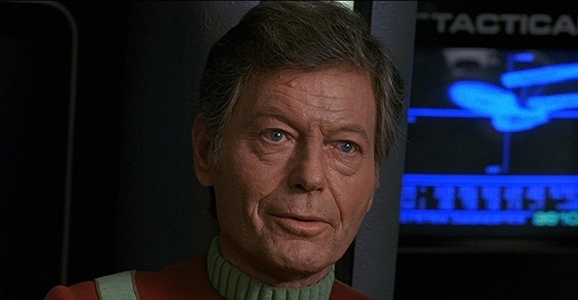 Bones is the fiery, passionate human heart — he feels everything as intensely as Spock oppresses his emotions. Kirk is the balance between the two, united in the will to act and the resolve of command. Naturally, the three of them drive each other insane on a daily basis, even if their underlying fondness for each other is rarely hard to see.